There is something mesmerizing about characters such as Gollum (Lord of the Rings trilogy), Caesar (Planet of the apes) and King Kong. These are non-human portrayals, critical to each of these movies. However, they are brought to life with an underlying sense of human characteristics. The primary one being their emotions. Emotions that allow us to perceive non-human portrayals. They are the main reason why all forms of on-screen alien life tends to get their human-esque features. Technology has finally arrived. Atleast to the extent of our imagination. Thus, now adding dimensions and characters beyond the realm of humanity is gameplay. Because of this the aforementioned characters have two things in common – performance capture and Andy Serkis. The man has pioneered motion capture in becoming an added dimension to acting. Amongst all the sense of wonder technology has brought into our cinematic experience, it still is learning to recreate human emotions. Andy Serkis has masterfully filled this void. He has helped pave the way for others to follow. For instance Benedict Cumberbatch as Smaug in The Desolation of Smaug. Ever since motion picture became the norm as a form of entertainment, actors, directors, and writers, in cohesion, have challenged the boundaries of creativity and human imagination and innovation through movies. It started with actors portraying an out of box character and wowing the crowd. Once that became of, the curious minds ran off to bring non-human characters onto the silver screen. Be it bringing the ever so imaginative comic book characters onto the screen or venture into the wilderness of imagination. King Kong (1933) was something way ahead of its time back then. This is evident from its repetitive renditions. Makeup and prosthetic suits were the go-to tools once, to transform an actor into the creative persona the script demanded. As technological advancement hit the movie industry, the limitless creative world of comic book heroes became possible. For example Superman (1978). The visual effects were stunning. But at the end of it all, it was still a human at the center of it. Alien (1979) and ET (1982) introduced us to the emotions of alien forms of life. One terrifying, to say the least, and the other smothered in cuteness. Over the past few decades, however, motion capture technology has evolved at a breathtaking rate. Beginning with Andy Serkis’ performance as Gollum (2001). Then him manning the MoCap suit with finesse. Then again, in his portrayal of Caesar in War for the Planet of the Apes. Performance capture in movies seems to be in sync with the creative imagination of those helming such movies. Thanks to the headway in the field of computer generated graphics, visual effects in movies have been breaking the barriers of realism. The green screen is definitely a gift. It provides animation studios the flexibility to turn a boring and fluorescent painted set (read the green screen) into a flawless spectacle in the final rendition of the movie. However, only inanimate objects are going though such effects extraordinaire. The stunning animators can draft the requirements, amazingly. Technology, however advanced, has fallen short of taking control of human emotions and replicating them mechanically. There’s no substitute for a good actor and the art of his craft it seems. It needs to be understood that motion capture technology is a mere extension of acting. It does not and can not serve as a replacement. The technology merely provides the physics behind each and every human emotion, the intricacies of it which a thousand lines of code and hours of rendering time cannot help recreate. 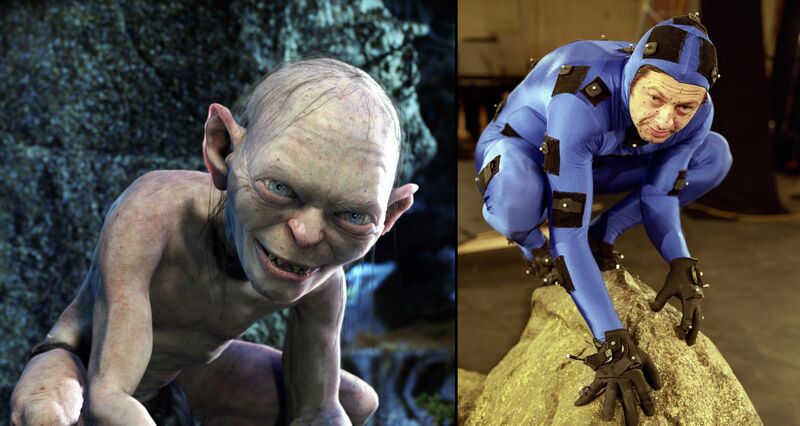 For instance, to bring the character of Gollum to life, the performance capture part acted as the foundation – a foundation with strong reinforcements thanks to the brilliance of Andy Serkis as an actor. Gollum, in itself, is an extremely complicated character and pivotal to the Lord of the Rings storyline. Gollum is described as villainous, dangerous but also sad, lonely – emotions falling miles apart on the spectrum. The same can be said about Andy Serkis’ portrayal of Caesar in The Planet of the Apes franchise and as King Kong. It takes an exceptional actor to get into the skin of a different personality and play the role convincingly. Daniel Day Lewis, Christian Bale, Heath Ledger are some actors of this generation to have done so time and again. And quite possibly, it takes another level of skills to portray apes of two different sizes and emotions (Caesar and King Kong) and whatever Gollum was. This is where the magnificence of Serkis shines through. The stunning portrayal of Gollum was instrumental in elevating the status and appeal of the Lord of the Rings franchise and then the Hobbit trilogy among the movie-goers. The fact that Andy Serkis’ Gollum is mentioned with such high regards should not overshadow some other brilliant performances by actors of repute. With Gollum, the bar was set way too high and way too early. Eric Bana’s Hulk (2003) was a forgettable outing from all aspects, especially falling short on the CGI/motion-capture front as the tech was yet to catch up, it seemed. The motion capture for that was provided by director Ang Lee. The next worthwhile movie with MoCap performances of note came 8 years after Lord of the Rings. It was in James Cameron’s magnum opus Avatar (2009). With the entire movie being a CGI heaven, Sam Worthington as Jake Sully and Zoe Saldana as Neytiri were two spectacular performances. The most recent actor lending his craft to motion capture was Benedict Cumberbatch as Smaug in The Hobbit : The Desolation of Smaug (2013). 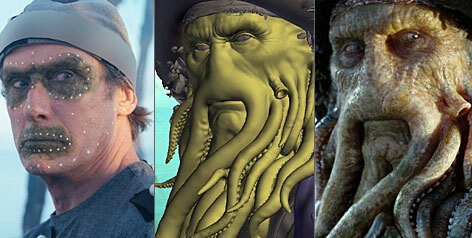 A few other notable performance are Bill Nighy as Davy Jones in Pirates of the Caribbean : Dead Man’s Chest (2006), Alan Tudyk of Firefly fame as Sonny in I, Robot (2004) among others. With comic books coming to life, performance capture is here not only to stay but broaden the horizons of imagination. 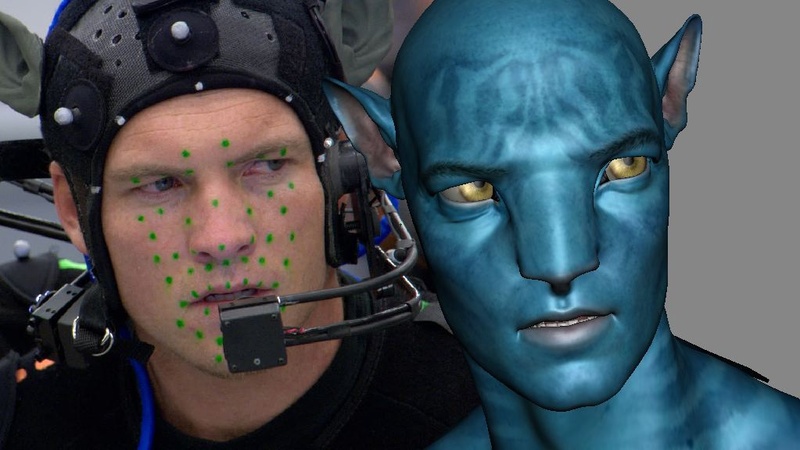 Afterall, James Cameron had to delay his project Avatar by at least a decade because the technology lagged behind. It was insufficient to do justice to the vision he had. But when finished, Avatar grossed more money than any other movie in history at the time. Needless to say, it was also a visual effect fantasy and feast. With the recent motion-capture portrayal of Benedict Cumberbatch as Smaug in the Desolation of Smaug, performance-capture technology seems to have hit the pinnacle of what can be achieved with the amalgam of a brilliant actor and performance-capture tech. With Christopher Nolan’s adamant demands of making Interstellar as scientifically accurate as possible to the evolution of animations and CGI in movies, the movie industry is pushing the boundaries of innovation and challenging science to catch up. There is also a growing support to recognize the brilliance of actors such as Andy Serkis. Whether they are eligible for Oscars and other global awards, is a debate for some other day. Previous ArticleBihar CM Nitish Kumar Resigns. What’s In Store For The State Next? The DCEU: Are DC’s Superheroes Too Human for Mankind To Handle?